Referral marketing has evolved from word-of-mouth to special promo codes to send to your friends. But are these methods actually effective? According to Mention Me, the referral marketing SaaS startup, if you execute the right way then refer-a-friend programmes can become core marketing channels. This London software company has meticulously built a transparent and user-friendly platform. One of the reasons this startup is used by brands like Ted Baker and FarFetch is its clear understanding of the best mechanisms to get people to share referral codes. London TechWatch spoke with CEO and cofounder Andy Cockburn about what’s in store for this startup after receiving its latest round of funding. 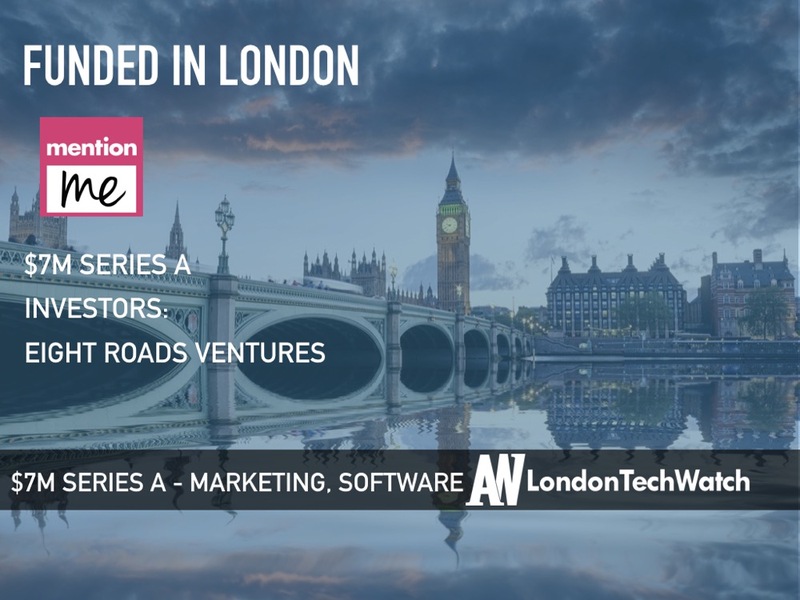 We raised $7M from Eight Roads Ventures as our Series A. Tell us about the service Mention Me provides. Mention Me is a referral marketing software-as-a-service business. We work with over 300 clients – including FarFetch, Ovo Energy, Ted Baker and ZipCar – and help them turn their refer-a-friend programmes into core marketing channels. Referral marketing has helped build some of the world’s most recognisable businesses in recent years, from Uber to Airbnb. However, most brands struggle to create effective programmes. Our transparent and easy-to-use platform lets clients access world-class referral capabilities with minimal technical integration and investment. The platform provides the technology for our clients to create, segment, AB test, iterate and measure referral campaigns to really make the most of the opportunity. We are now a team of nearly 50 people, currently operating referral programmes in 16 languages and have delivered more than £300M in revenue to our clients through referrals. What inspired you to start Mention Me? My cofounder, Tim, and I met at HomeAway, the world’s largest marketplace for holiday rentals. Tim was the European CTO and I was the Managing Director for the UK & Ireland business. Whilst we were there we came to realise the potential for referral marketing. We enjoyed very high Net Promoter Scores across the business but that didn’t always translate into referrals and new customers. There was a lot of experimentation around referral which let us see both the potential and the complexity of the channel. We also saw the huge opportunity in solving the challenge of getting referral to work. How is Mention Me different? We run regular surveys and 86% of our clients rate us 8 out of 10 or higher when asked if they’d recommend us. The attributes that drive that score are where we aim to go above and beyond: a product that performs well and is easy to use, plus a great service. Product performance and ease of use comes down to two key things. First, our approach of putting the technology to work in order to solve the psychology of referral. 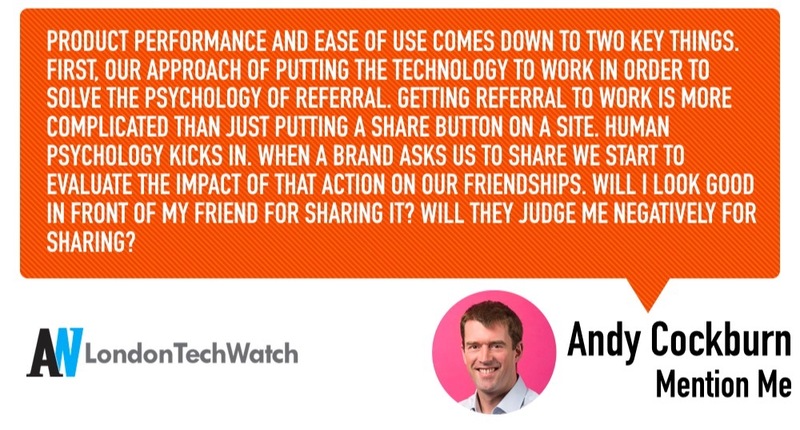 Getting referral to work is more complicated than just putting a share button on a site. Human psychology kicks in. When a brand asks us to share we start to evaluate the impact of that action on our friendships. Will I look good in front of my friend for sharing it? Will they judge me negatively for sharing? We solve this with some unique capabilities: AB Testing by cohort and Name Sharing. AB testing by cohort lets clients test iteratively with different customer segments until they find out what really resonates; and Name Sharing lets customers share by letting their friends come to a site and just enter their name to claim a referral offer. It l lets them share in the most natural way possible. The importance of service is the other element we never underestimate. We’re very hands-on and our clients love that. Clients who have come to us from another supplier give us some of the best feedback, so we know we’re on the right track. What thought is given to ensure that people are not becoming spammers in your service? Within referral, there is always the risk of abuse, whether it’s people trying to refer themselves or potentially sharing the offer to people they don’t know. We have a number of tools designed to give clients the control they need to identify and manage abuse. We have an algorithm that scores every single referral so that clients can determine which they want to allow and which they don’t want to allow. And clients can add limits as to how many referrals any one person can make. 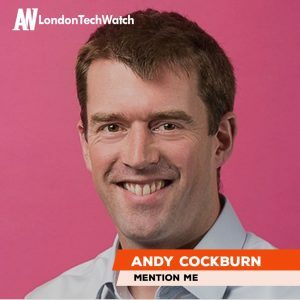 What market is Mention Me targeting and how big is it? We can work with any business that has happy customers, a transaction for which we can reward a referral and enough volume to be able to test and optimise. It’s a very big market! Our clients range from utilities to ladies shoes and from fintech to energy drinks. After an initial set-up fee, we work on a performance basis and charge a percentage of a new customers’ first order. This means we align ourselves entirely with our clients’ success and let them set up the referral channel with minimal risk. It also means that all of our success to date has been on the back of real results delivered to our clients. That is incredibly satisfying and puts us in a great place for this next stage of growth. It was a great process. 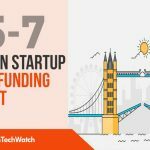 After a number of coffees with VCs last year, we selected six potential partners who we liked and wanted to work with in January and had interest from all of them. We then went through a process of working through who was offering the best terms and which partner was the best fit. It inevitably takes a lot of time to manage the process – particularly where there are multiple potential VCs interested. It was great to be doing it at a point where we’ve already got a head of steam and there’s a team of almost 50 people keeping our clients happy. We’re looking to change the way that marketing works and so we’re solving a big problem in a huge market. We’ve also done a lot to prove that it works whilst bootstrapping the business. We’ve got a great team, a lot of happy clients, proven results, great SaaS metrics; it was a good time for us to raise. We’ll increase the size of the team by at least 50%, we’ll have a new product in the market and we’ll have hit the milestone of having delivered 1,000,000 referrals to our clients! Having bootstrapped the business for the last five years, we feel very qualified to give advice on this. First, test everything. We followed the Lean Startup framework and it meant that we rigorously tested ideas to prove that different components of the business worked before we started thinking of scaling them. We did this by finding the most cost-effective way to test something. We set ourselves nine tests for the first two years and said we’d close the business if we didn’t pass the tests. Then don’t invest in growth until you’ve achieved “product-market fit”. There is no point in spending money marketing a product that isn’t right for the market. All entrepreneurs are racing to prove success (particularly when you’re not paying yourselves) but taking the time to get it right means you avoid wasting resources on bad ideas. As you’re growing, focus on the cash. Growing without raising means you need to understand and optimise your cash flow dynamics. You always need to know your 13-week cash position so that you have time to adjust the cost base if you need to. You really need to focus on the levers for cash and not just the levers for growth and revenue. And finally, focus on raising when it’s right for your business. We raised an angel round after a couple of years as we started to hire because we knew we wanted a buffer if we were asking people to join us and that was a good decision. It made sense to raise again now because our business is in a great place and the opportunities that we’re looking at require more cash than we’ll be able to generate out of cash flow in the next couple of years. We’re going to see rapid growth in the team across all areas. We’re going to be exploring new, international markets. And we’re going to be investing in new products to work alongside and augment referral. When we think about new products, we’re focusing on the role of trust in marketing. We believe that as marketing continues to evolve over the next five years, trust will be at the heart of its evolution. When you get trust right, all of the dynamics of a business become easier: customers come to you without you needing to sell to them, they’re generally happier and they stick around longer. Over the next couple of years, we’ll be building out a Trust Marketing platform to help businesses grow, manage, measure and harness trust. Our ultimate goal is to change how the world does marketing. The Black Dog in Vauxhall. It’s a great pub and you can spill out into the park. It’s just lovely on a summer’s evening.